The Woodland School District is committed to providing a safe and healthful environment for all students and employees. This site is intended to increase employee awareness of safety and health and to communicate management safety messages. Please read the Accident Prevention Program document. If you have questions regarding the information in this program, please contact Scott Landrigan, ext 2741,landrigs@woodlandschools.org . Please complete new online form. The Southwest Washington Workers' Compensation Trust produces "Safey Talks". You can find Safety Talks here. 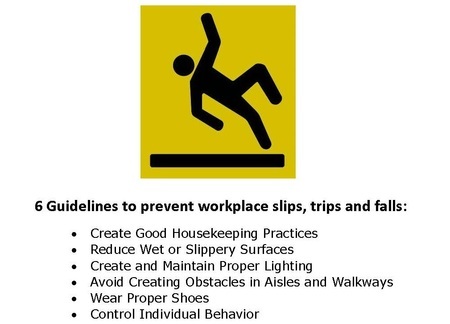 The purpose of the Safety Committee is to make recommendations on how to improve safety and health in the workplace. The current school year's Safety Committee minutes will be posted on this website and kept for one year in the District Office. Any news or related articles from the committee will also be posted here. If you have any safety concerns, please contact your representative (see the current committee members' list), and let them know, so that they can bring it to the Committee's attention. Woodland School District is self-insured through Southwest Washington Workers’ Compensation Trust (SWWCT). The Trust is fully funded by its member participants. Educational Service District 112 is contracted to perform claims adjustment services for the Trust. To report a Workers Compensation Claim, please call the ESD 112 Workers’ Compensation Department at 800.749.5861 or 360.750.7504. Get correct Workers’ Compensation claim number from ESD 112 before you seek medical treatment, if possible. (Note: Most physicians and hospitals give you State L& I Claim numbers. This is not the correct number, as the District is Self-Insured. You must get the claim number from ESD 112’s Workers Comp Dept.) You can get this number from ESD112 over the phone. Be sure the physician you see accepts Workers’ Compensation cases. They must be in the L&I medical provider network: https://secure.lni.wa.gov/provdir/ . You will need to complete an Employee Accident Form. Check with ESD112 to find out what is an allowable expense under Workers’ Comp. They will provide all the information regarding the Self-Insured Employers Workers’ Compensation. ESD 112 Worker’s Comp will handle the claim.